From birth onward, the School of Veterinary Medicine at the University of Wisconsin–Madison is at the forefront of developing medical care to keep dairy cows healthy in the first place and treat them when they’re sick. Researchers at the school are training large animal veterinarians across Wisconsin to use ultrasound to diagnose bovine respiratory disease in calves, a technique they pioneered. That quick diagnosis helps keep the disease in check. Scientists at the school are also tackling Johne’s disease, an infection that costs the dairy industry $1.8 billion every year. They developed a smartphone app that helps veterinarians and farmers manage the disease and are working on a more effective vaccine to reduce its spread. The school’s work keeps farm workers safer too. Dairy cows and their caretakers can contract tuberculosis from one another, endangering both. That’s why the School of Veterinary Medicine helps test and vaccinate farm workers for the disease and tracks new outbreaks to stop them before they spread. And when the World Dairy Expo brings 2,500 cows to Dane County, school scientists make sure the world’s largest dairy competition doesn’t spread disease back to the home farms. Successful dairying requires well-designed facilities, and the school’s Dairyland Initiative provides producers the information they need – through consultations, workshops and a variety of online resources – to build better cattle housing that optimizes cows’ well-being. 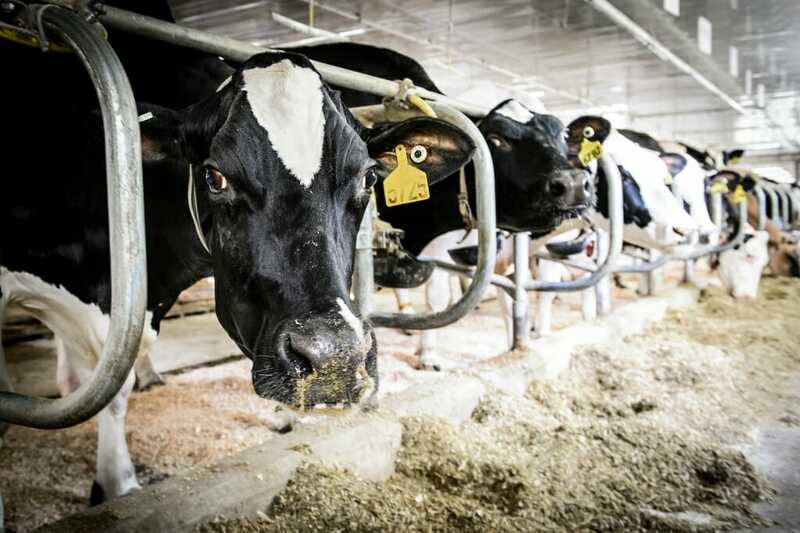 An estimated 65 percent of new cow barns nationwide are built with Dairyland Initiative principles, yielding healthier cows, improved animal welfare and more efficient and productive dairies. It’s all part of how the School of Veterinary Medicine helps keep the $43 billion Wisconsin dairy industry safe and productive.